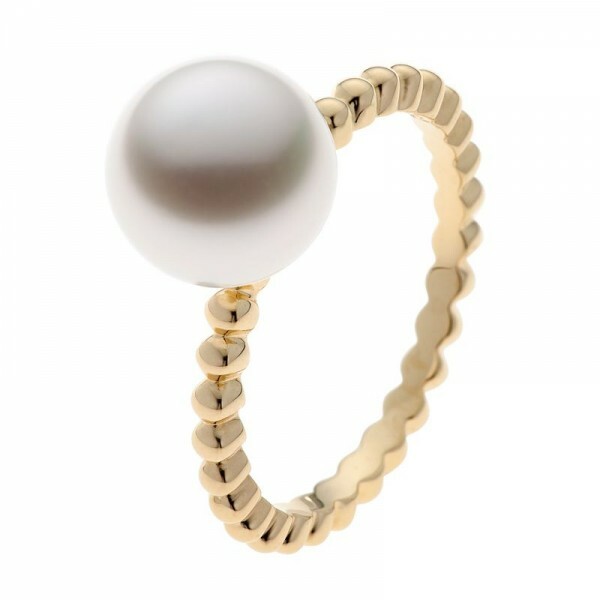 This beautiful bohemian style ring is one of many stackable style of rings that can be worn together. 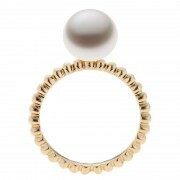 Featuring a stunning South Sea pearl on a band made up of small beads of gold. 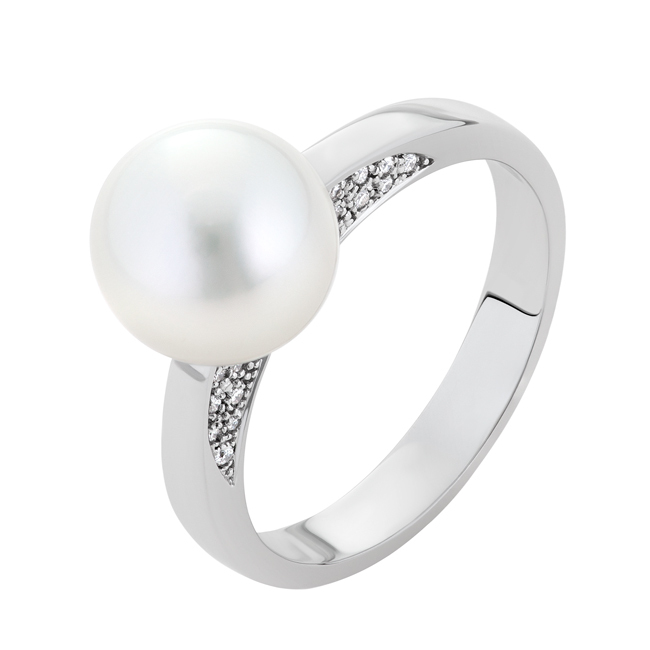 For a delicate style of pearl ring, it really grabs some attention. Match with a fine plain band, or a band of small diamonds, or both for even more fun! Size: The larger the pearl, the rarer it is. 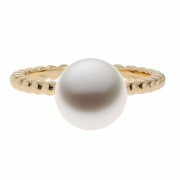 South Sea pearls are world renowned for their impressive sizes. Shape: Pearls range from the classic round shape, to teardrop and button, to the freeform baroque and naturally spiralled circle pearl. Colour: Colour depends on the species of oyster and their environment. South Sea pearls can come in shades of white, ivory, silver, and the rare yellow and rich gold. 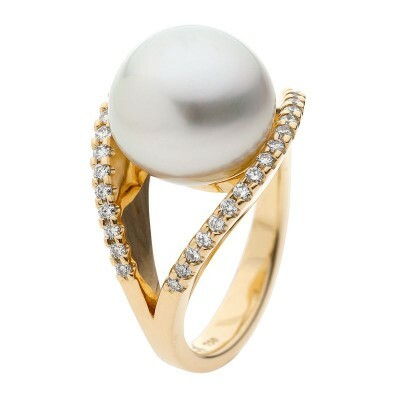 Lustre: Look for pearls that have a bright metallic lustre. The better you can see your reflection in the lustre, the better the pearl’s quality. 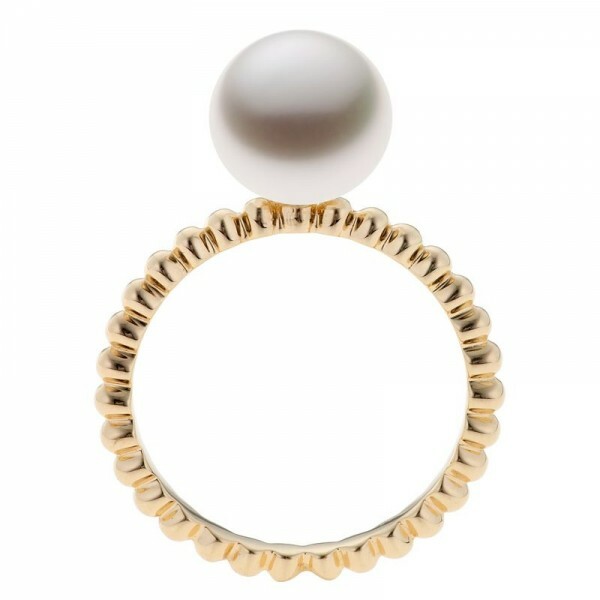 Complexion: Look for a smooth pearl surface, free of blemishes and imperfections. 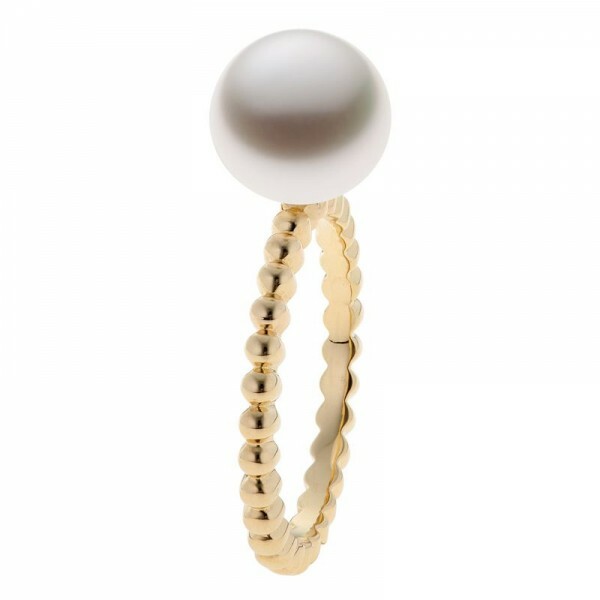 Jewels of the Kimberley provides a certificate with every South Sea pearl, authenticating its natural colour, lustre and origin.